Back cover blurb: A loving mother. A perfect family. A shock wave that could shatter everything. Freya Braithwaite knows she is lucky. Nineteen years of marriage to a man who still warms her soul and two beautiful teenage daughters to show for it: confident Charlotte and thoughtful Lexi. Her home is filled with love and laughter. But when Lexi’s struggles with weight take control of her life, everything Freya once took for granted falls apart, leaving the whole family with a sense of helplessness that can only be confronted with understanding, unity and, above all, love. In this compelling and heart-wrenching new work by bestselling author Amanda Prowse, one ordinary family tackles unexpected difficulties and discovers that love can find its way through life’s darkest moments. Freya Braithwaite knows she is lucky, married to the man she loves with two beautiful teenage daughters. When Freya is called into youngest daughter Lexi's school for a meeting with a teacher who has concerns about her daughters health, Freya is unconcerned and a little offended. She knows her daughter, and there is absolutely nothing wrong with her. But Freya is being hoodwinked by her daughter. Lexi is on a dangerous course of self destruction and Freya must open her eyes before things spiral out of control. 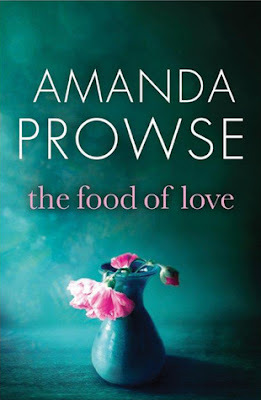 The Food of Love is the first book I've read that deals with anorexia in a fictional setting. It is at times a difficult book to read, but it is an important read. It deals with its subject matter sensitivily and highlights that the darkest of times can happen upon the most ordinary of families. The Food of Love is available to buy now via Amazon online and all good book shops. Thank You to the publishers who offered this title for review via netgalley.